Porsche, which had established a great reputation for making sports cars with their 911 models, released a new flagship model called the 928 in March 1977. 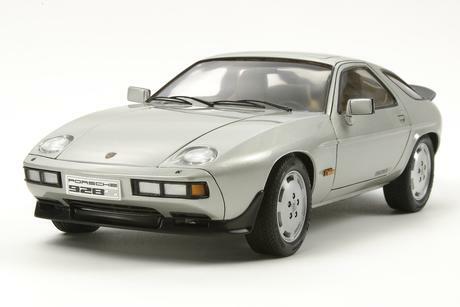 It featured a front-mounted liquid-cooled V8 engine and rear-mounted transmission to enable a 50:50 front/rear weight distribution as well as a "Weissach Axle" rear suspension system. 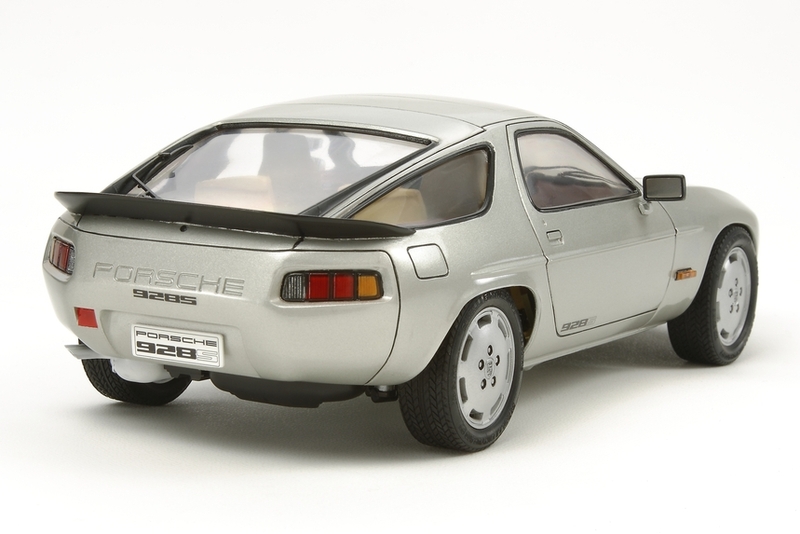 In 1979, a version with enhanced performance called the 928S was announced. 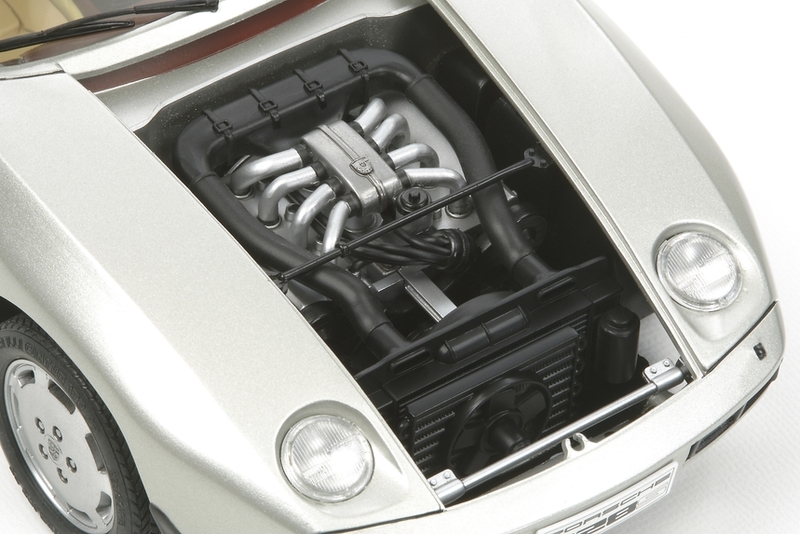 The engine displacement was increased from 4,474cc to 4,664cc which resulted in sixty more horsepower for a total of 300hp and a top speed of over 250km/h. 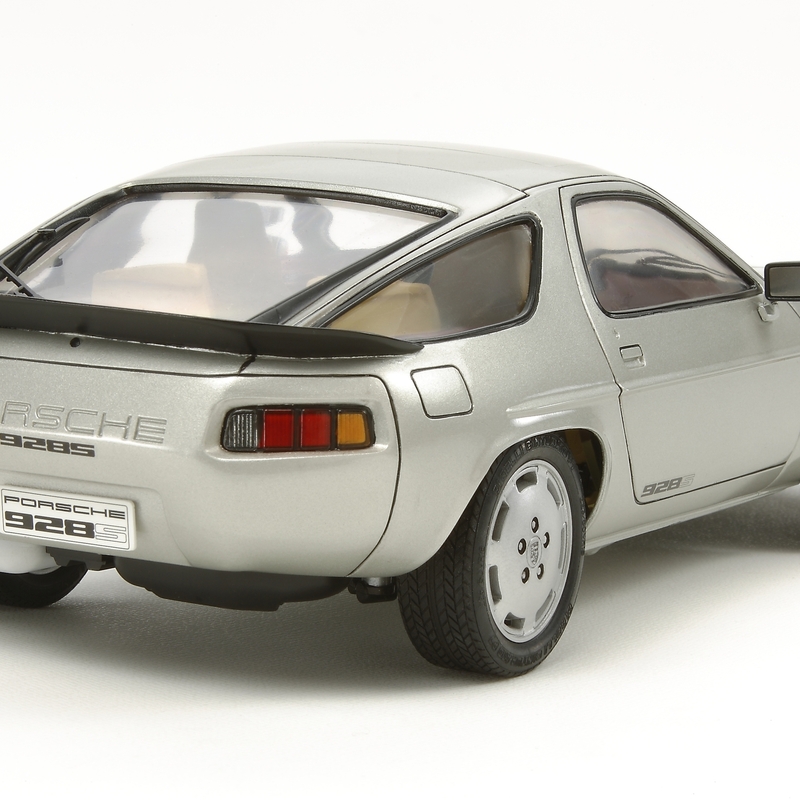 Externally, the 928S featured a new wheel design, front and rear spoilers, and a distinctive crease line along the body sides to differentiate it from the standard 928. 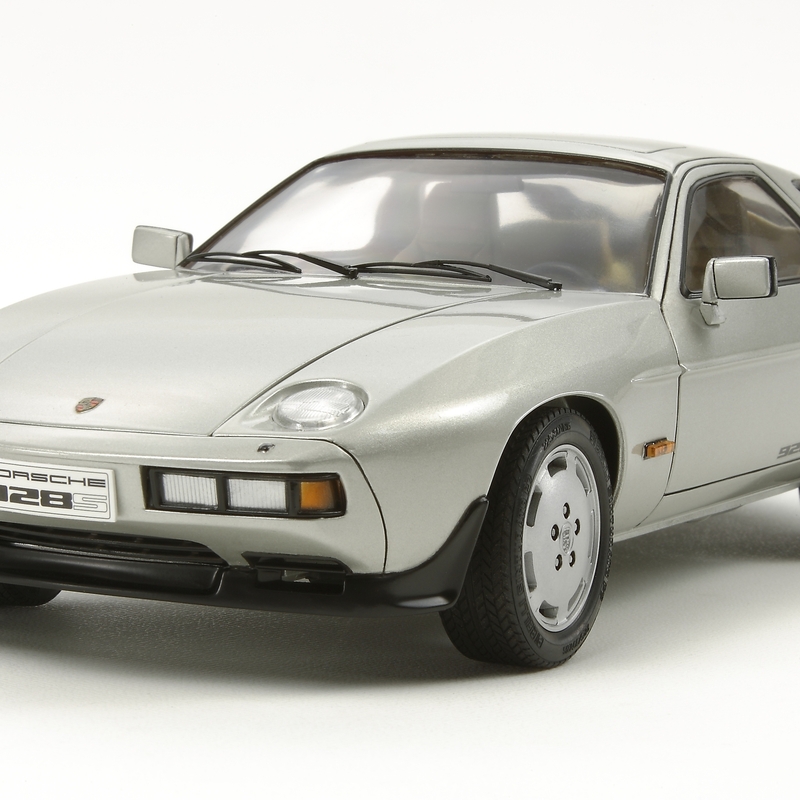 The 1/24 scale Tamiya model faithfully replicates this iconic Porsche of the 1980"s.
Special Feature 1 The sleek, aerodynamic design of the 928S is accurately reproduced. Special Feature 2 Insulated wires are included to depict plug cables. 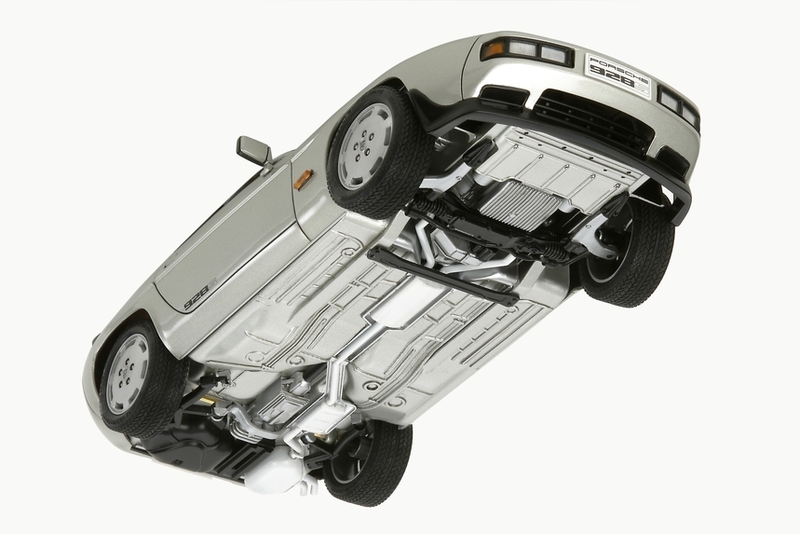 Special Feature 3 Headlights can be depicted in either retracted or raised position. 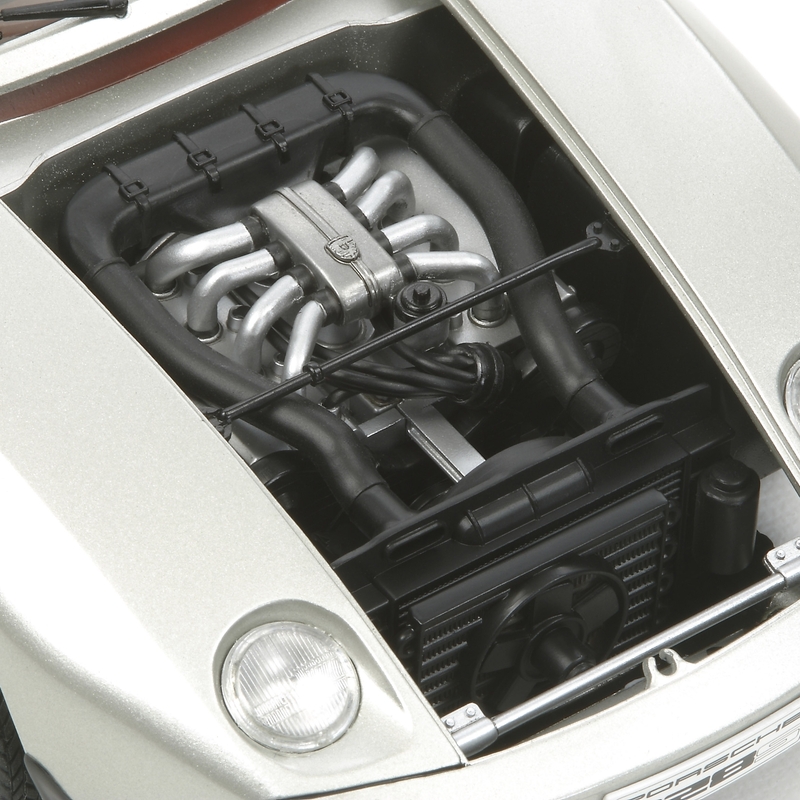 Special Feature 4 Hood may be detached even after assembly to showcase the V8 engine, radiator, etc. Special Feature 5 Synthetic rubber tires with realistic tread patterns. 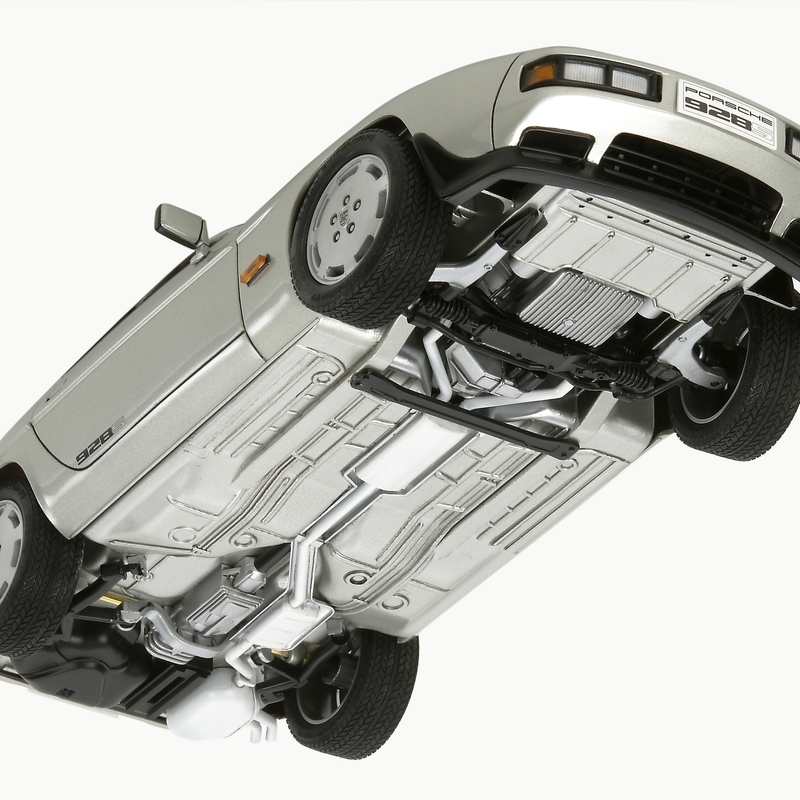 Special Feature 6 Steerable front wheels.